I'm going to start off by saying I am a little disappointed in this book so far. Perhaps it is because I've been using technology in the classroom the entire time I have been teaching (I know that 31 isn't old... and I've only been in the classroom for 8 years), but I went from creating note outlines to share on the overhead to creating interactive SmartNotebook documents to project onto my Smartboard all within my first year of teaching! 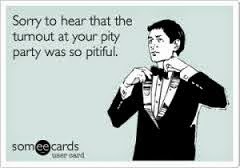 Once I was done complaining, I realized I needed some help. Since I was among the first to get a board, I didn't really have anyone in my school to train me. Of course, my school provided training [a SMART trainer came to our school and demonstrated how to use the software], and even sent us to an off-site training to learn from teachers who uses SmartBoards. Training was great, but I was left along [a lot!] to figure stuff out. I started slowly, at the SmartExchange. I would download lessons other teachers created. Sometimes, they were fine and I used them the way they were. Other times, I would delete a slide or add another slide to add extra practice problems [I teach special needs students, so we need LOTS of practice]. Simply by downloading and using the documents others have created, I was able to learn their tricks. I learned about how important it was to group and lock images. I learned about cloning versus infinite cloning. I learned about going to the properties and and adding animation. Little.baby.steps. Now, I would say I'm one of the most experienced in my school with SmartNotebook and I'm really comfortable using all of the features (did you know that if you use the magic pen, you can zoom in if you draw a rectangle around something, and you can create a spotlight if you draw a circle around something?). But I digress...back to the book! The first two chapters were about setting your classroom up around your board and incorporating the board into everyday routines. In my classroom, I found it easier for students to interact with the board if they weren't at their desks. Something about the desk made it take so.much.longer to get up to the board and do what was asked. I usually tried having them move their chairs up closer to the board (I am lucky that most classes only had 8 kids, so that wasn't too difficult to get them around the board). I think using the board for everyday routines is a great idea. I actually didn't do this enough. It talked about using the board for a quick exit ticket, having students choose if they really get it (green light), almost get it (yellow light) or really don't get it (red light). So much faster (and definitely 'greener') than using little slips of paper! 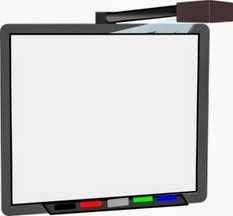 What is your favorite thing to do on the SmartBoard? I'm sorry to hear that you were disappointed up until this point. When writing the book, my editor and I decided that it should be geared towards teachers who were apprehensive when it came to incorporating technology into their everyday teaching. Being that you're more savvy, I can see how some chapters may not be worth your while. Nevertheless, I see that you found some ideas to be very helpful, so I'm happy to see that!